Aside from the shocking numbers is that fact that innocent people are being randomly stopped and frisked on the streets. They are being asked for their identification, questioned and frisked for no reason whatsoever. Also according to the New York Times article, “… 87 percent were black or Latino. About 9 percent were white.” This is racial profiling and a cause for alarm and action. If you were stopped and frisked by a police officer, do not hesitate to speak with a racial profiling street stop attorney in NYC today. Contact Goldberg & Allen, LLP, to arrange a free case review. Were You Stopped and Frisked for Only One Reason: Your Race? We are illegal search lawyers in New York City with more than 50 years of collective experience. Over the years, we have seen this problem grow and grow. We are prepared to thoroughly assess your case and determine if you have a valid claim. You have the right to refuse to talk to the police under certain circumstances. You have the right to refuse to provide the police with your driver’s license or other type of ID. If your rights are violated and you are arrested, you can sue. If you were put in handcuffs and beaten up, if you were tased, or if the police acted with excessive force, you can sue. 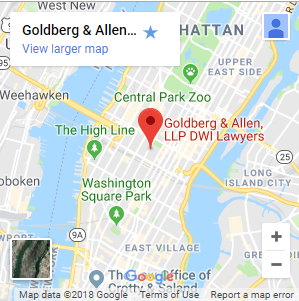 At Goldberg & Allen, LLP, we take a special, determined interest in civil actions that promote fairness and quality law enforcement in our city. If you were stopped and frisked for no reason other than your race, please call us at 212-766-3366. You can also contact us online to schedule your free case review.